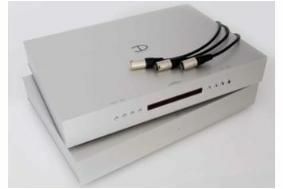 Densen debuts flagship two-box preamp | What Hi-Fi? Now commercially available, the £6800 B-275 is what the company calls its first 'Superleggera' product: rather than following what it sees as an industry trend towards ever larger products, with enclosures housing both the audio circuits and massive power supplies, it's chosen this 'super-lightweight' approach. That means a two-box preamp, with the huge power supply in one cabinet and the audio circuitry in a second Superleggera housing, in which "everything possible has been done to reduce the weight and remove vibrations. "This has made a dramatic improvement of the sound, and where huge high end products normally are associated with [a] dark and slow presentation of music, the words that spring to mind when describing the B-275 Superleggera [are] agile, precise, fast, dynamic and natural." The 2NRG power supply houses three custom-built transformers, one for each channel and the third for the microprocessor, display, input selectors and volume control. The B-275 itself has further voltage regulation, thus removing any interference between the sections of the preamp. It employs Densens own non-feedback single-ended Class A topology, and a microprocessor-controlled attenuator for volume control, which can be calibrated by the user. An optional moving magnet or moving coil phono stage can be added to the B-275, which can also accept an analogue surround board to allow 7.1-channel operation with players having multichannel analogue outputs – plus of course extra power amps.